The nameservers for 3 of my domains do not show up in the DNS tab, how can I locate these as i need to have the registrar enter these nameservers as the authoritative Nameservers for them. They should be in the DNS tab. It’s a box below all your DNS records. Check the Overview tab. I’m guessing your site isn’t active here yet and is still waiting for those name servers to show up in WHOIS. You do not need to change your DNS to Cloudflare Nameservers since you are using CNAME Setup handled by a Cloudflare partner. 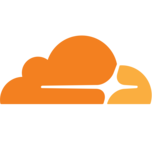 Just use your current nameserver and your domain will resolve to Cloudflare’s network. If you dig your www subdomain in a console, you’ll see that your domain will resolve to yourdomain.tld.cdn.cloudflare.net. Your root domain will however still points to your origin server as request to the root domain will be redirected to the www subdomain. The DDOS protection for attacks against DNS infrastructure is only available for the delegated records. Cloudflare’s security and acceleration benefits are only available on delegated subdomains, such as www.example.com. The root domain, such as example.com, cannot be protected or accelerated via Cloudflare. This is due to DNS RFCs. OH, never mind. I took a closer look. It looks like your web host is handling this. So you’d have to check back in your Plesk panel. I am having a similar issue. I received a message from support saying my certificate is held up(showing authorizing in crypto tab) because my name servers haven’t been updated. Its been 24hours since setup. On my host dns zone editor I do see cloud flare address have been added automatically but support is telling me to change the name servers. My name servers don’t show up in my dashboard and the hosting company is a partner so I shouldn’t have to correct? Submit a support ticket here. SSL gets hung up on various things and Support can usually handle it, or let you know what you can do to move it along.